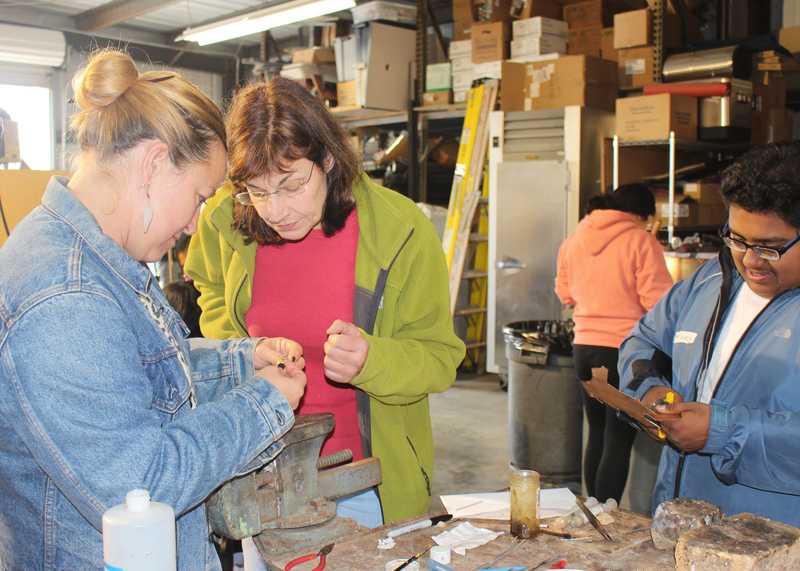 The metals program started sixteen years ago when Dan Geraci, jeweler and concretist created a metals class. 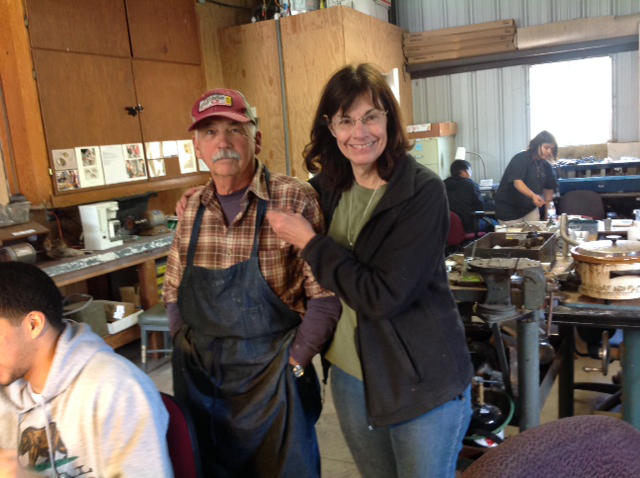 He joined forces two years ago with nationally-recognized jewelry designer, Lynda Bahr to teach metal arts to students during the spring. Both Lynda and Dan are passionate about sharing their wisdom and expertise with students. 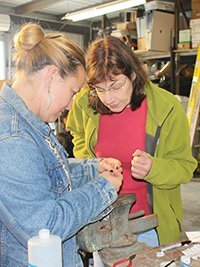 The class is a month long, giving the students two-hours every day to get a taste of the ancient craft of working with metals. Students receive hands-on experience with tools such as torches, drills, hammers, saws among a myriad of other basic smithing equipment. Many of the skills and tools which are shared have not changed since the beginning of time. These crafts have been handed down for millennium and with few exceptions, are still a part of any jeweler’s basic repertoire. 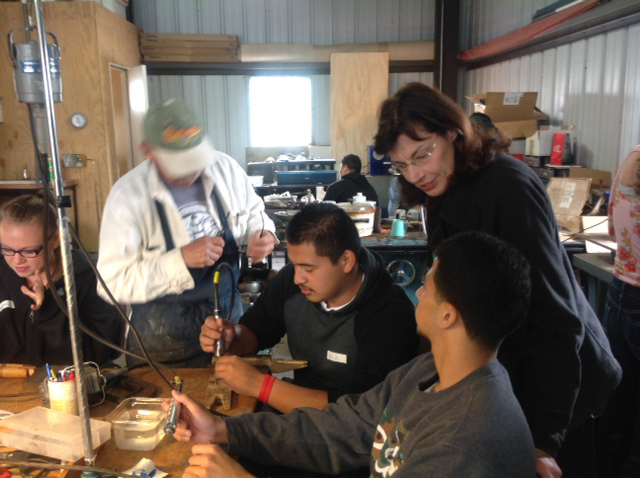 Since Pescadero High School no longer offers a shop class and the space taken over by the theater department, the new jewelry shop is located in a less used part of the school. Jewelry tools and equipment were graciously donated to the school by Dan and Eve Durigan. Dan and Lynda realized that in schools around the United States, vocational, shop and art classes are being eliminated and they are dedicated to bringing back the metal arts to the youth of their community. 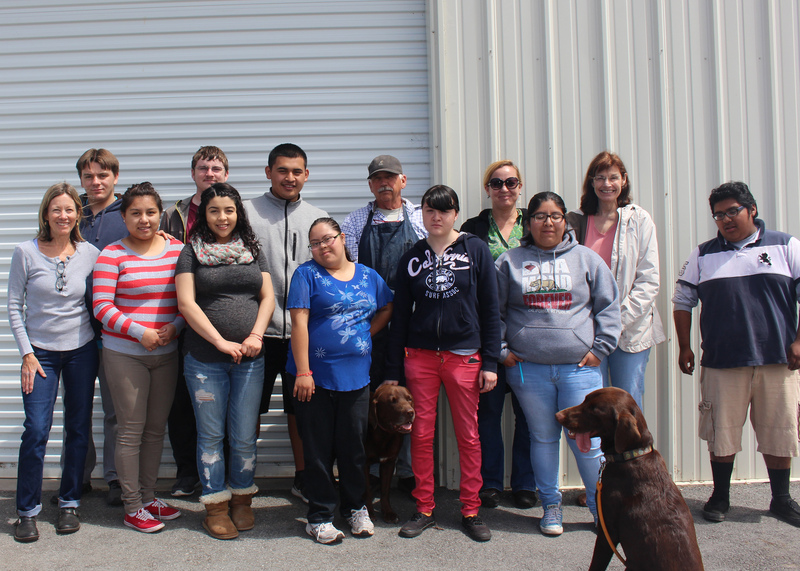 The metals class, like other exemplary programs sprinkled around the country, have had success by creating project-based, hands-on learning opportunities for a variety of students and are perfect for those with learning and physical disabilities. The great thing about these grassroot, multi-disciplinary programs, such as Pescardero’s program, is that it requires more than just hand-eye coordination from the student. Geometry, engineering, and science become basic skills the student apply directly and instinctually to their projects as well as learning to verbally communicate about what they are creating. Without realizing it, Dan and Lynda are part of a growing trend to empower students to work, design and build, and even make mistakes, with their own very personal projects. 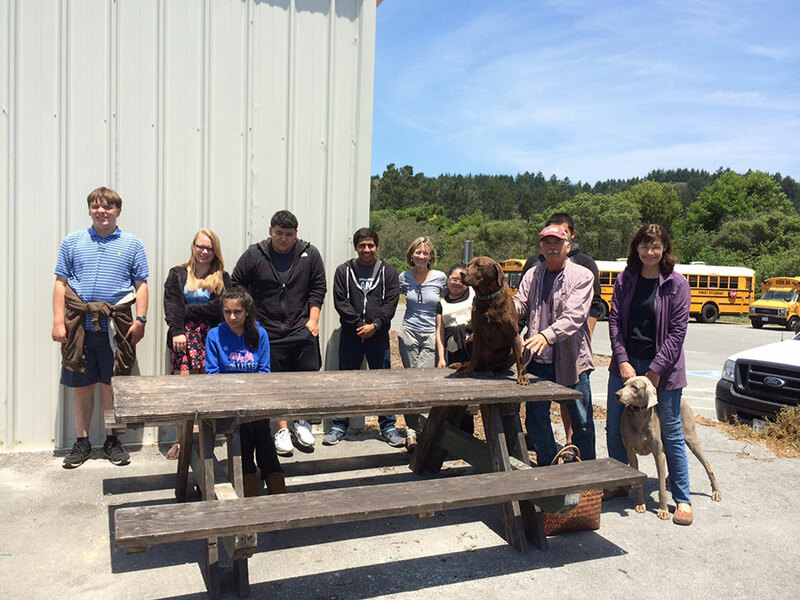 The class would not be possible without the support of the Pescadero High School art teacher, Anne Ingraham, who cheerfully accepted the idea of adding this class to her curriculum. Three years ago the class received a donation of a complete set of lapidary equipment from Eve Durigan. Students could do anything from cutting and forming gemstones which become elements for rings and necklaces to creating larger pieces of sculpture. Among the tools is pneumatic carving equipment such as a jack hammer which is perfect for forming marble and other stones. Lynda and Dan have also set up an experimental project-based assignment this summer for her son, Will. He is going to design and build a front for their living room fireplace with recycled marble and granite slabs from one of his Dad’s architectural projects. Other class projects that have been created include forming a drinking cup from a sheet of pewter and designing and producing a ring made from a pre-1965 quarter (which is mostly silver). Students leave the class after a month with items they can show, wear and use as well as a feeling of pride that they have taken an initial step in learning a craft they might want to pursue as a career choice.